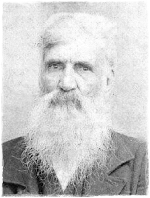 Descendants of Franey Wallace (1814 - aft 1880) have reported that it has been passed down through the generations that several of her children were fathered by a Hunsucker man. Franey raised five children Martha J., Mary Ann, Rebecca Jane, John Mack "Mack"and Julia Frances. My Grandfather, Mallie Wallace, had heard that Jim Hunsucker (husband of Elizabeth Williams) was the father of Franey's children while Julia Frances Wallace Maness' Death Certificate listed Abram Hunsucker as her father. Abram Hunsucker and Jim Hunsucker are believed to have been brothers. Will of Abram C. Hunsucker Dec'd. Heirs: wife Elizabeth Hunsucker [all property and all property shall be divided among children at her death except the 75 acres adjoining G.H. Hunsucker and A.A. Hunsucker which shall go to G.V. Hunsucker]. Executor: G.H. Hunsucker. Witnesses: L.A. Graham and Nathan Jenkins. Proven Aug 19, 1869. Letters of Administration granted to G.H. Hunsucker and A.A. Hunsucker who list the following heirs: Elizabeth Hunsucker, G.V. Hunsucker, G.H. Hunsucker, William Hunsucker, A.A. Hunucker, Mary Morris, Sarah Morris, Jane Hunsucker, Catherine Smith and T.E. Hunsucker.